Which is worse? A failure to file penalty or a failure to pay penalty? US citizens, legal permanent residents, and other covered individuals have an obligation to file and pay taxes on all sources of worldwide income. If an individual does not satisfy his or her filing and payment obligations, he or she may be subject to penalties for a failure to pay taxes, the failure to file taxes, or both. While the following article will address a number of the penalties which can apply for non-filed taxes or nonpayment of taxes, this article does not address when civil or criminal fraud penalties could apply. Furthermore, if the failure to file or pay includes the failure to report sources of foreign income or foreign accounts, additional problems are likely to arise. The experienced tax attorneys of the Brager Tax Law Group can discuss your concerns, identify legal problems and work to develop effective solutions to your tax compliance issues. 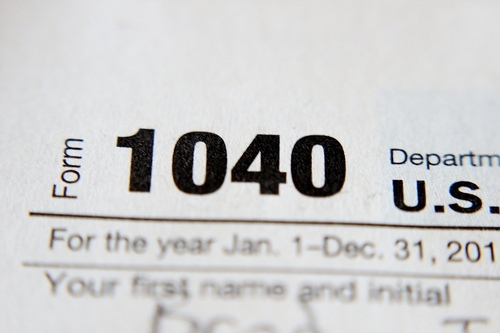 What are the consequences for failure to file taxes? IRC 6651: Addresses the failure to file a tax return or to pay required taxes. IRC 6651 (a)(1) addresses the failure to file, while IRC 6651 (a)(2) addresses the failure to pay. IRC 6654: Addresses the failure to pay an estimated tax onbligation. This law typically requires four estimated yearly payments with each payment comprising roughly 25% of the estimated tax liability. The amount of penalty is calculated as per IRC 6621. IRC 6698: Addresses the failure to file a return for a partnership. Partnership returns are made mandatory by IRC 6031. IRC 6011(e)(2): Addresses the failure to provide a required electronic return for partnerships with greater than 100 partners. The penalty is assessed for each partner beyond the 100 partner threshold. The failure to file penalty is typically greater than a failure to pay penalty. In most circumstances, the failure to file penalty is assessed at 5% of the unpaid taxes. This penalty is assessed for each and every month or part of a month where the tax is late. That is, if your filing deadline was April 15 and you do not file until June 2 of the same year, a penalty would be assessed for three months: May and the partial months of June and April. However, this penalty is capped at 25% of the amount of unpaid taxes. In contrast, if your return is filed more than 60 days late, a minimum penalty of the lesser of 100% of the unpaid tax or $135 will be imposed. What are the penalties for failure to pay my full tax obligation? The failure to pay penalty is assessed at half of 1% of the unpaid tax liability for each month or part of a month where the unpaid tax is overdue. Thus, as discussed above, the failure to pay taxes for even a single day in a month can result in the imposition of the full penalty. The failure to pay penalties can apply to income, gifts, estates, and certain excise tax returns. However, it is important to note that a strategic request for an extension can reduce or eliminate potential tax penalties. That is, if a taxpayer requests a filing extension prior to the original deadline and pays a minimum of 90% of the actual tax owed by the original due date, then no failure-to-pay penalty will be assessed provided that the balance is covered by the extended payment date. What if both the failure to pay and the failure to file penalty apply? When both a failure-to-pay and a failure-to-file penalty can be imposed in any month, the penalty will be computed by subtracting the failure to pay penalty from the failure to file penalty. However, as discussed above, if your return is filed more than 60 days late, the IRS can impose a minimum penalty of the lesser of $135 or 100% of the unpaid tax. The penalties that can be imposed due to a failure to file or pay taxes in a timely manner can, generally, only be eliminated if a taxpayer can show reasonable cause or otherwise prove that the failure was not due to willful neglect. The Brager Tax Law Group can work with US taxpayers to develop a legal strategy to correct tax compliance issues. To schedule a confidential consultation with an experienced tax lawyer call 800-380-TAX LITIGATOR, or contact our law offices online.